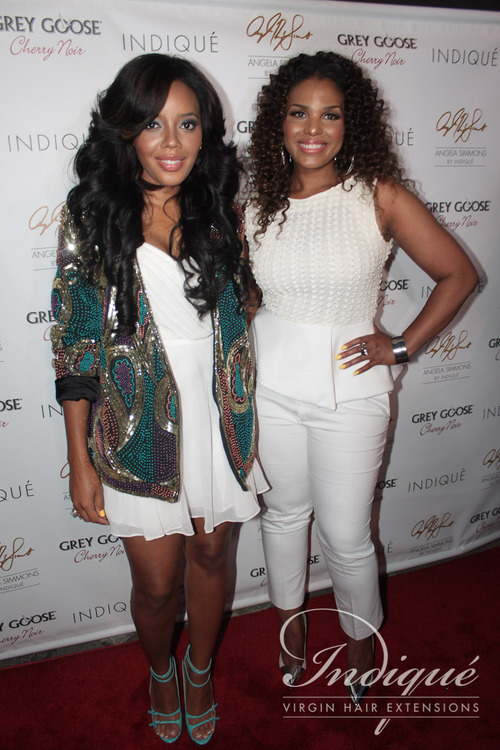 Angela Simmons, the second daughter of legendary rapper Joseph Simmons, continues to diversify her resume, launching a new hair extension line for women. She has been worked with Indique Virgin Hair Extensions to create the Bikini collection. She is the first celebrity spokesmodel for Indique, expanding her career as a 24-year-old business go-getter. She made sure to sport her innovative weave at the promotional hair launch. Her luscious locks were straightened for the event, giving fans and followers a chance to witness the hair’s flexibility. A 40 oz tube of Bikini hair retails between $210 – $305. A portion of the Bikini proceeds will go toward CancerCare, an organization that helps provide information, education, counseling, financial aid and other types of free professional help for people living with cancer or cancer-related illnesses.